The saying goes, “When in Rome, do as the Romans do.” However, with a lack of notable designer clothes and the absence of an adorable designer dog to walk, paired with my inability to fashionably sip on lattes in the afternoon, it became clear that I would be doing a little more of what the tourists do while peppering in some local recommendations. Rome is a city that one could spend a lifetime in and still not fully experience all of its rich layers of history and culture like the most decadent tiramisu or lasagna. 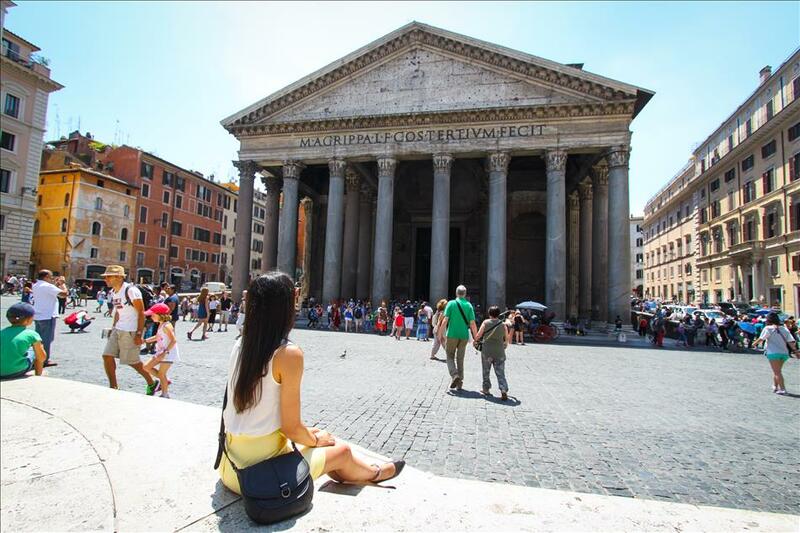 The first trip to this ancient city usually sends the traveler into a whirlwind romance that leaves them pledging to return to indulge in more of the layers and flavors of Roma. Of all the countless experiences to be had in this city, there are definitely some that are essential to skimming the cream, frosting, or cheesy goodness (depending on your tastes) off the top. Rome has magnificent ancient crumbles everywhere; on the corners of streets or in the middle of parks surrounded by a fence, there are so many remnants of the glorious past of the Roman Empire. What’s left of the buildings immerse the traveler in history and wonder. None seem to do this better than the Colosseum, Palatine Hill, the Roman Forum, and the Pantheon. 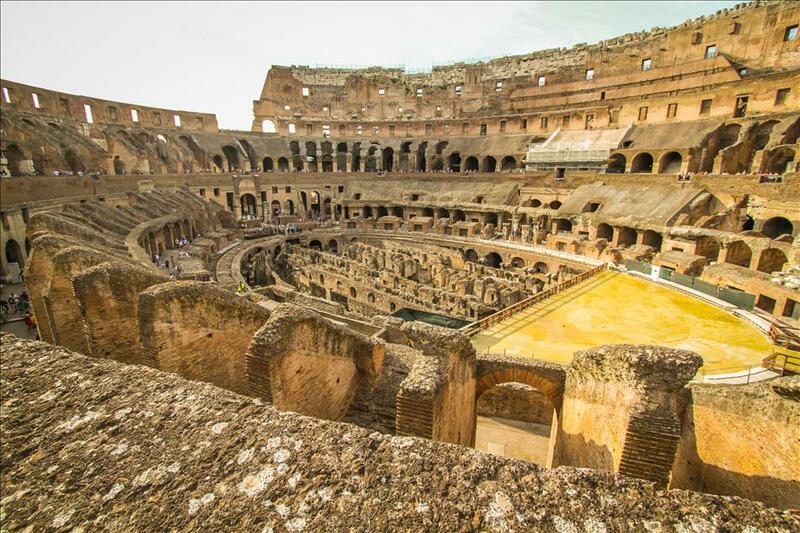 These sites take the visitor back in time to the ancient past of gladiators, scholars, and decadence. 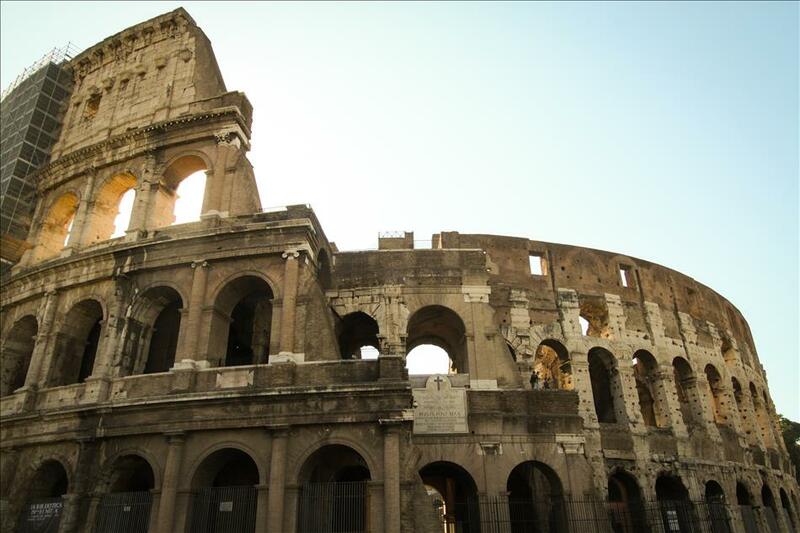 Walking among the amazing ruins of the greatest empire known, you can almost imagine sitting at a gladiator match or strolling the halls of the earliest learning forums. I would suggest going as early in the morning as possible to avoid the heat, crowds, and ensure plenty of time to meander and fantasize your way through. Is there any better excuse to eat pizza at every opportunity than simply being in Rome? The variety of flavors and the difference from its shamefully loose interpretations at major American pizza chains is something to delight in. Popping into one of the many pizza cafes for lunch becomes an addictive habit. 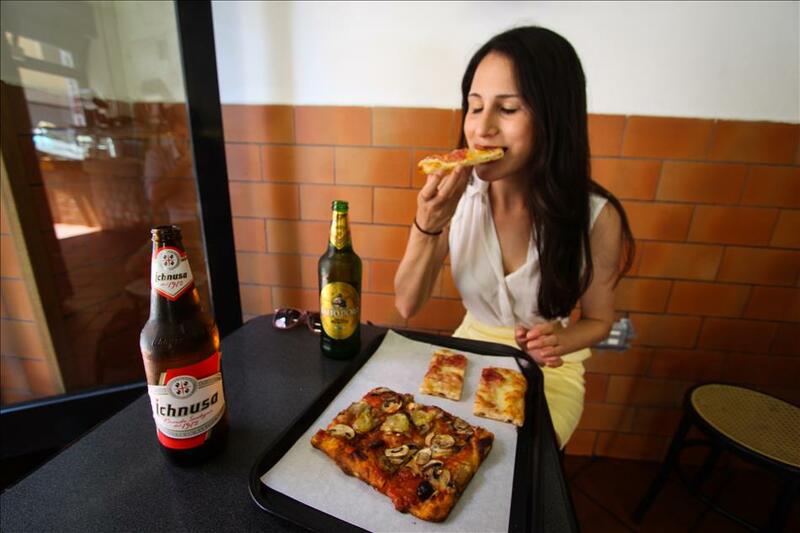 I happened to find a particularly delicious place named Pizzarium that boasts an astonishing variety of pizza from vegan to meaty to eclectic combos which some locals refer to as the best in Rome. Italian cafe culture is a great leisurely social pastime of seeing and being seen. 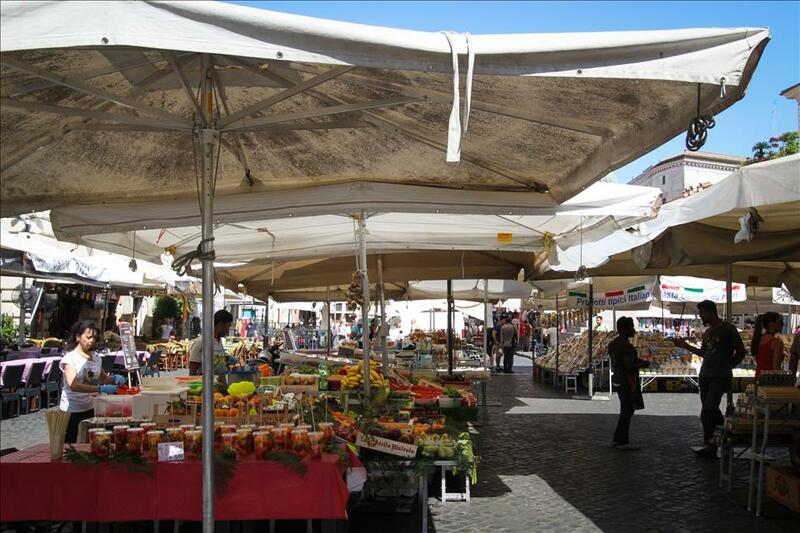 Fashionable Romans sit outside under umbrellas chatting and unwinding for hours on end, so go join them! 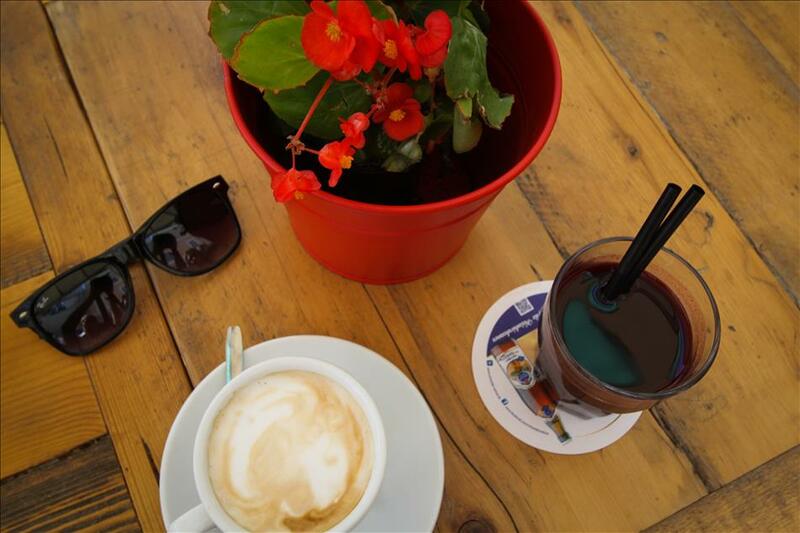 People watch while sipping on a cappuccino like a local, bask in the urban scenery, relax, and order another. You’ll probably find traveling on the metro inevitable when plotting sight seeing routes. It’s really the easiest way to get around with user friendly ticket machines, fast travel times and intervals, not to mention a great way to “do as the Romans do;” and full of multiple people watching opportunities. One of the smallest and richest countries in the world, Vatican City is awe-inspiring with its history, architecture, and immense art collection that features a vast collection of Renaissance to Baroque and Modern Art complete with all the biggest names from Michelangelo to Matisse. 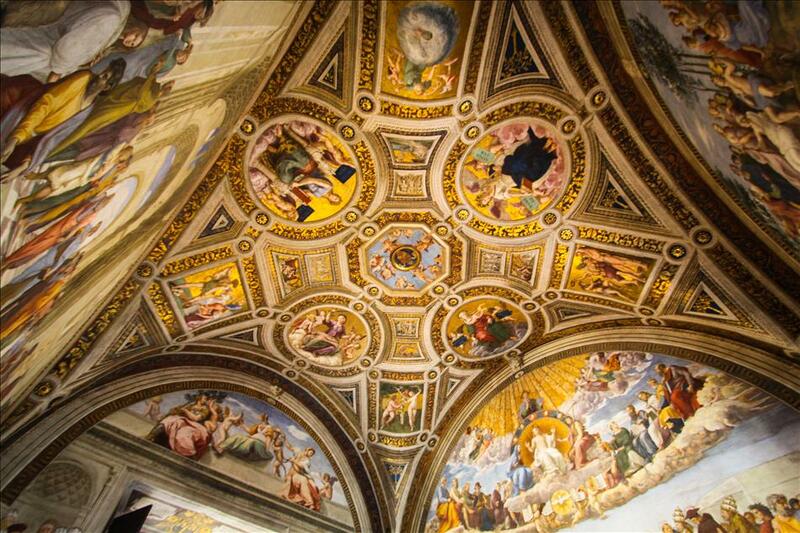 The Sistine chapel and Saint Peter’s Basilica are absolute musts for their breathtakingly ornate hallways full of stunning art that you’ve no doubt seen in a textbook somewhere. There are even a couple preserved Popes for the devout or just morbidly curious to observe. 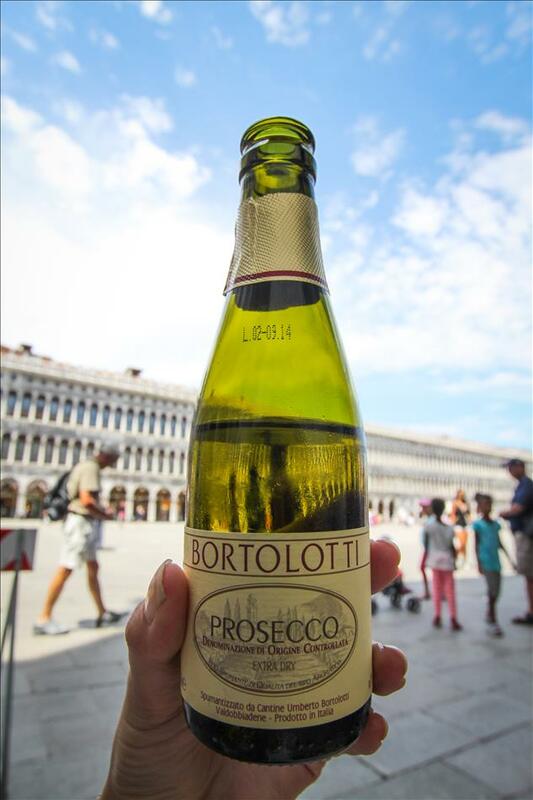 I can’t believe I had gone 23 years 11 months and 7 days without tasting this type of sparkling light wine indigenous to Italy. It’s simply the exact beverage that the little cherubs of the Sistine Chapel would be drinking in the corners of heaven not pictured. Light and bubbly, it’s perfect for daytime or a warm night, so I went ahead and had it at both times, multiple times. It’s a holiday after all! Revisiting my art degree level interpretation of the unpainted scenes of the Sistine Chapel, I am convinced that there is an essential element missing in the all too famous gap between the hands of God and man that can only be completed with gelato, as I am convinced it was a divine gift to man. Rich, creamy, and indescribably decadent flavors sit side by side in galleries of deliciousness next to light and perfectly sweet and fruity sorbets. Popping into one of the numerous street side gelato shops for breakfast, post-lunch dessert, pre-dinner dessert, or an evening treat is a habit as easy to slip on as your favorite sweater. You’ll never know a city more intimately than if you walk it’s streets for hours on end. I myself walked the distance of a marathon, all in two days of adventures (really!). I found some of the most beautiful little narrow streets bathed in golden color on my happy misadventures through romantic Rome, stumbled into some of the best hidden cafes, and discovered some of the cutest little parks, all by mistake. Every day, many umbrellas pop up in the intersection of many cobblestone streets and boast their epicurean and touristic wares. Hand pressed olive oil in more flavors than conceivable, artisan breads, and pasta, are sold alongside leather knockoff handbags, red, white and green t-shirts, straw hats, fedoras, paintings, jewelry, wide brimmed sun hats, and a menagerie of key-chains resembling little silver buildings. Plaza markets are a souvenir treasure trove waiting to be pillaged. Whether its going to a discotheque or heading into the catacombs, Rome has countless adventures to be had. I personally, opted for a slightly creepy underground catacomb adventure at San Callixtus and navigated an underground maze of empty graves and burial artifacts from some of the earliest Christians. 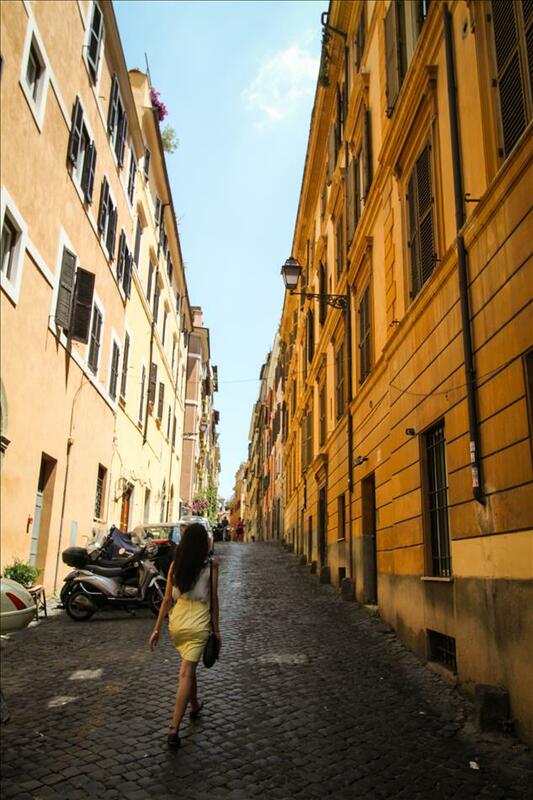 Rome has a side adventure for anyone; cheese tasting for the foodie, pub crawls for the party animal, wine tasting for the connoisseur, hikes for the outdoorsy, museums for the historian, the list really is infinite. 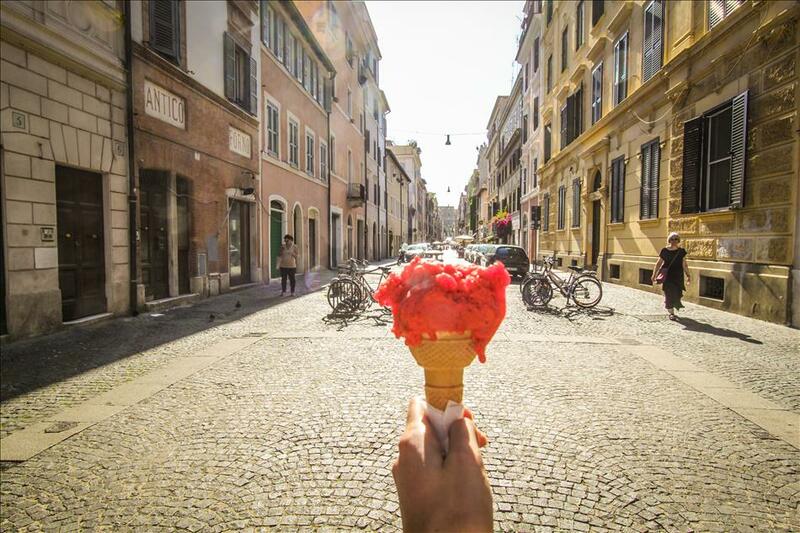 Rome is best seen, tasted, and experienced in a variety of ways, so think outside of a steel trap itinerary. My favorite thing about my visit was that each day I woke up and chose what I would do as I went along. Downloading an offline map, as are available free in the app store, and saying, “Bonjourno and Gratzie” are golden tools for breezing through the eternal city like a pro (though not quite with as much style and grace as a true Roman).